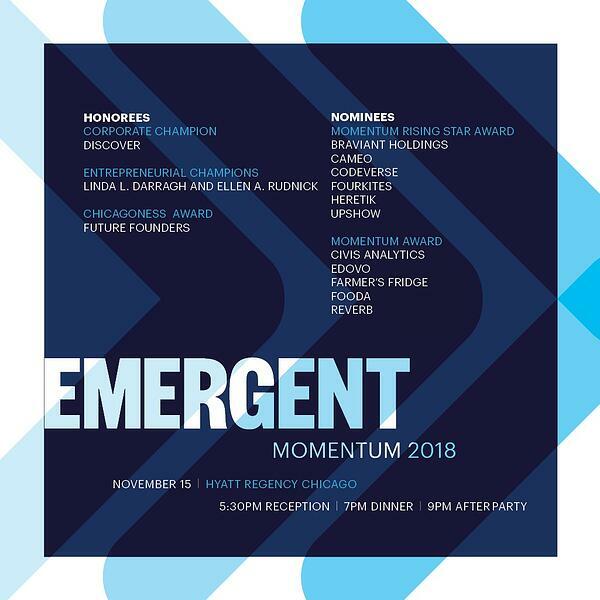 1871 and The Chicagoland Entrepreneurial Center (CEC) are excited to share the 11 finalists for the 11th Annual Momentum Awards. The Momentum Awards are separated into two categories; the Momentum Rising Star Award, which recognizes a company with significant growth potential that is less than five years old, and the Momentum Award, which recognizes a company that is more than five years old and on track to become a leading tech organization in the Chicagoland area. Six finalists have been selected for the category of the Momentum Rising Star Award and five finalists have been selected for the category of the Momentum Award. Each finalist was chosen for their achievements to date and their promise as an emerging company, which represents the emergent theme of the 11th Annual Momentum Awards Dinner. Braviant Holdings | Braviant is a Chicago-based fintech startup that combines breakthrough technology and machine learning to empower underbanked consumers with better credit solutions. Cameo | Cameo is a marketplace where fans can book video shoutouts from over 5,000 of the world's top athletes, actors, and entertainers. Codeverse | Codeverse teaches 6 -13 year olds to code through their online platform and immersive coding studios. FourKites | FourKites is the fastest-growing predictive supply chain visibility platform, delivering real-time visibility and predictive analytics for the broadest network of Fortune 500 companies and third-party logistics firms. Heretik | Heretik is a lightweight, deployable contract review application that seamlessly integrates into Relativity. Heretik’s solution enables Relativity users to extend their favorite e-Discovery tool to corporate transaction and regulatory response use cases, enhancing best practices with minimal disruption. UPshow | UPshow is re-inventing consumer engagement at the point of action. UPshow transforms TVs inside a business into a marketing & entertainment platform that is built to serve the brand. Civis Analytics | Civis Analytics helps leading public and private sector organizations use data to gain a competitive advantage in how they identify, attract, and engage people. Edovo | Edovo's digital platform provides educational and vocational programming, low cost communication services, and re-entry preparation for justice-involved people and their loved ones. Farmer’s Fridge | Established in 2013, Farmer’s Fridge is a privately-held food and technology company founded and headquartered in Chicago, Illinois. Guided by the mission to improve consumers lives through 24/7 access to food you can trust, Farmer’s Fridge offers wholesome and handcrafted options for breakfast, lunch, dinner and snacks in 200 locations across Chicago and Milwaukee. Fooda | Fooda believes a workplace food program is something employees should love and look forward to every day. 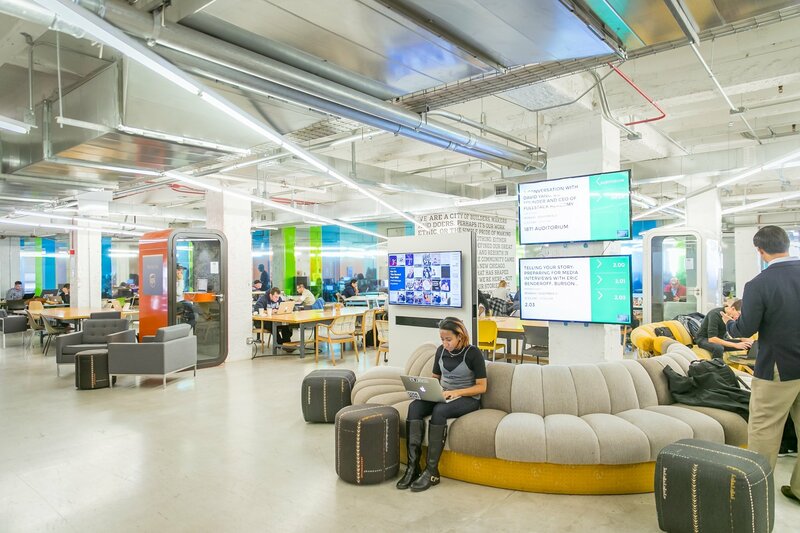 Powered by technology and a network of over 2,000 restaurants, Fooda feeds hungry people at work through their ongoing food programs located within companies and office buildings. Reverb | Reverb.com is the online marketplace to buy and sell new, used, and vintage music gear. Since launching in 2013, Reverb has grown into the most popular music gear website in the world, with total sales on the platform surpassing $1 billion and more than 10 million musicians and music lovers around the world visiting the website each month. Tock, a restaurant-booking system, was the recipient of last year’s Momentum Rising Star Award, and tastytrade, a financial media company that offers trade- and finance-related edutainment content for traders and investors, was the recipient of last year’s Momentum Award. In addition to the Momentum Rising Star Award and Momentum Award, several other honors will be presented at the 11th Annual Momentum Awards Dinner on November 15, including the Corporate Champion Award, which will be presented to Discover; the Entrepreneurial Champion Award, which will be presented to both Linda Darragh of the Kellogg School of Management at Northwestern University and Ellen Rudnick of the Booth School of Business at the University of Chicago; and the Chicagoness Award, which will be presented to Future Founders. The event will be attended by more than 1,000 of Chicago’s best and brightest tech innovators, corporate leaders and civic supporters. 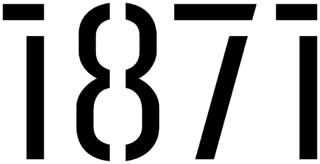 It is the largest gathering of the tech community annually and the primary fundraiser for CEC, which supports the activities and operations of 1871. To learn more about the 11th Annual Momentum Awards Dinner or RSVP for the event, follow this link.